With infectious enthusiasm, Switek questions what we've long held to be true about these beasts, weaving in stories from his obsession with dinosaurs, which started when he was just knee-high to a Stegosaurus. 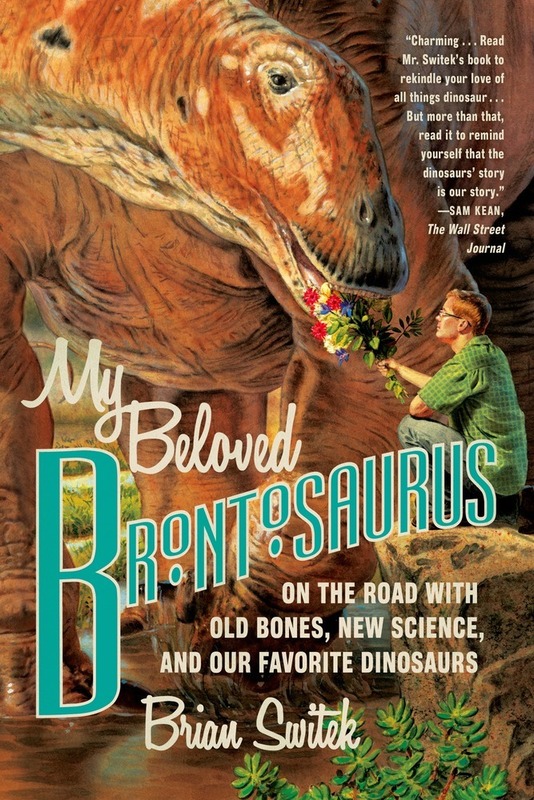 Endearing, surprising, and essential to our understanding of our own evolution and our place on Earth, My Beloved Brontosaurus is a book that dinosaur fans and anyone interested in scientific progress will cherish for years to come. Listen to an excerpt from the audio book edition of My Beloved Brontosaurus: On the Road with Old Bones, New Science, and Our Favorite Dinosaurs by author Brian Switek, read by the author. Brian Switek is an online columnist for National Geographic and is the author of Written in Stone. He has written for Smithsonian, Wired, Slate, The Wall Street Journal, Nature, Scientific American, and other publications. His examinations of fossil discoveries have been featured by the BBC and NPR. He lives in Salt Lake City, Utah.